We can do what it takes to get your Auto or truck on the road again and MOST of what it takes to maintain and repair both the chassis and coach sections of your RV. Russel's Auto & RV is a business sponsor of iATN, which means they have access to over 2.0 million years of automotive experience through the iATN Knowledge Base and network of over 80,000 members. 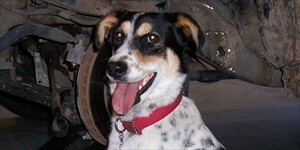 They have been a member of the International Automotive Technicians Network since 1998. 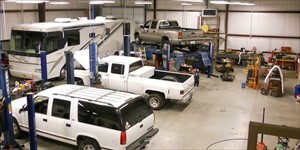 ASE certified Owner and technicians, traveler services such as towing arranged, transport to motel and meals if needed, RV hookup for overnite repairs. Local customer pickup and delivery. Quality towing arranged when needed. 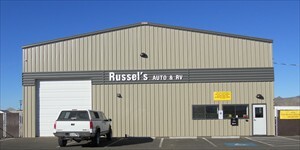 Email: You can contact Russel's Auto & RV through this form. Location: We are at4065 N Bank, Kingman, AZ. Take exit 53 from I-40. Take a left onto Andy Devine Avenue (east bound or west bound), go to the Airway Avenue traffic light and take a Left heading west onto Airway. At the next traffic light(banks street) turn right and go 1 mile to the Gordon traffic light then about 200 yards further north. Left(south) side of the street. See you there!